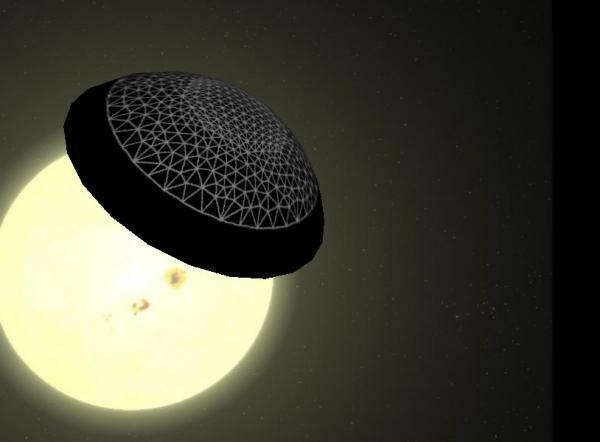 Most plausible conceptions of a Dyson sphere consist of hundreds of thousands of solar panels orbiting the star rather than one huge structure, so it's possible that an alien civilization living on a nearby planet is in the middle of building one. 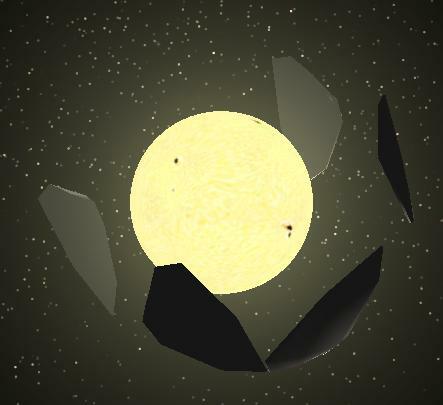 If part of the star is surrounded by oddly-shaped panels at any one time, then their orbit could cause these erratic dimming patterns. This is potentially mind-blowing! The idea that we have detected advanced ET engineering a mere 1500 light years away! My first thought that maybe the inner planets of this system have been destroyed (natural disaster, meteor strike, inter-planetary war, death star type scenario etc...), long enough ago that there'd be no record of this event being observed. Or is this too simplistic? goes into some alternatives and why they may or may not fit. it's a PDF so I can't copy/paste the relevant bits. You'll have scan to near the bottom of the paper to find it. It's pretty technical though (I can't pretend I fully understand it myself) but it might help answer your question. If it were destroyed planets or a young protoplanetary disk that has somehow survived into the stars' middle age, then there should be more infra-red flux than there is, from the dust. Instead there seems to be several discrete objects, some of which appear to have a non-spherical cross-section. Perhaps it is a deliberate attempt to send signals to the universe using statites - an idea I also investigated at Orion's Arm a few years back.. Nothing's too simplistic. If you survey enough extrasolar systems, eventually you'll come across some extraordinary natural phenomena, something that might be incredibly unlikely but is bound to be happening somewhere. Of course, we should be cautious and sceptical, because of the huge potential significance of the data, and the need to maintain perspective. Still fascinating, though, whatever it turns out to be. hey did we get a link to the original paper? Hang on if the company Dyson made Dyson Spheres, they'd be really difficult to clean and far too heavy like their vacuum cleaners. Might explain black holes-intergalactic suction. Dyson make most excellent hand driers. Assuming these structures are artificial, are we letting our science fiction dictate our perception of what they could be? Apart from possibilities we couldn't even comprehend from a civilisation so far in advance of our own, could these objects simply be individual space-born colonies? I had a bad experience with one, I mistook it for a urinal. these all started out as serious engineering studies rather than science fiction. In this sort of context I think that science fiction (or rather speculative fiction) is a useful tool to use when considering the possibilities; for one thing, speculative fiction, if used correctly, can be open ended and doesn't really rule anything out. Do the generation ships get sent out before or after civilization reaches Dyson Sphere level technology? Interesting question! If we are talking about aliens we can't really expect them to act in predictable ways. But I would think that a civilisation that could build a Dyson Sphere would have progressed far beyond the generation ship stage. 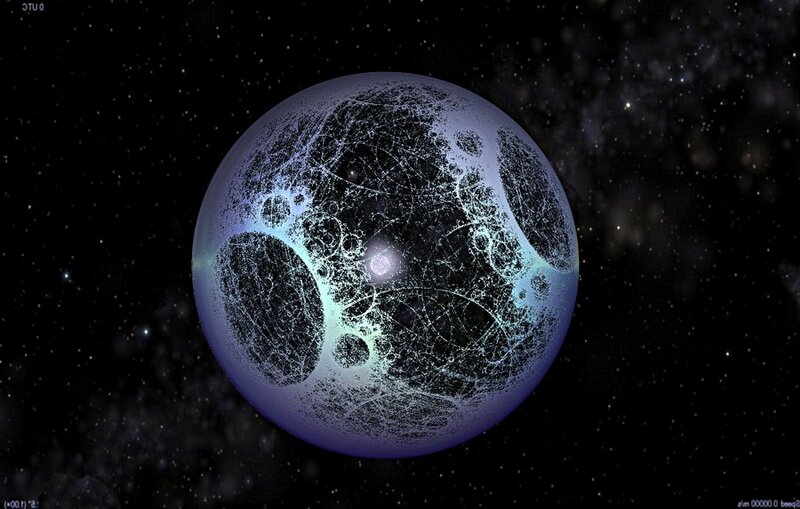 For a start, a Dyson Sphere can collect utterly mind-boggling amounts of energy - abound a billion times as much energy as we use on Earth for all purposes. If some of this energy could be diverted into spacecraft propulsion, then there would be no need for generation ships - you could accelerate smallish vessels up to significant fractions of the speed of light, allowing interstellar journeys within the span of a single lifetime. The big problem would be trying to stop these fast little ships from evaporating due to the energy flux. ...which explains why they haven't introduced themselves. Yeah. They've seen our reality TV, soaps and celebrity gossip. A dyson sphere 1AU across could use interferometry to map our world; they could detect our roads and major building works, at the least. I can't see any easy way for them to read our e-mails at that distance. Except maybe the ones that use all capitals. A dyson sphere 1AU across could use interferometry to map our world; they could detect our roads and major building works, at the least. Even the Roman Empire stuff? That's what they'd be detecting if they're looking today due to the distance. I just figured that they could at least detect that there is life of some sort here, and since there is life here they'd send some probes or the like in our direction [assuming they'd be interested in life]. They should be able to pick up the Pyramids, and many other structures. I've just been to a buried town on Santorini that is 3600 years old; it was not unique at that time. There were dozens -hundreds - perhaps thousands of towns and villages around the Mediterranean, the Fertile Crescent, India and China that could be detected from 1500 ly away. Astronomers seeking out extraterrestrial intelligence have used a powerful radio telescope to eavesdrop on a star system that is relatively close to Earth in the hope of hearing the faint radio whisper of an alien civilization. Using the Allen Telescope Array (ATA) located in California (pictured top), members of the SETI Institute chose Trappist 1 as they know the red dwarf-type star plays host to at least 3 exoplanets. Traditional SETI searches have looked to random stars in the sky in the hope of detecting an artificial radio signal using luck and some educated guesses. But now we know certain stars play host to exoplanets, alien hunters can be a little more discerning with the selection of stellar targets. “We come in peace” might be the traditional opening gambit for aliens in science fiction, but we should be wary about beaming back a response to any advanced life-forms in real life, Stephen Hawking has warned. Our first contact from an advanced civilisation could be equivalent to when Native Americans first encountered Christopher Columbus and things “didn’t turn out so well”, he cautioned. The comments are made in an online film, Stephen Hawking’s Favorite Places, in which the theoretical physicist takes viewers on his own CGI spacecraft (the SS Hawking) to five significant locations across the cosmos. It is not the first time Hawking has warned about the prospect of hostile aliens. Launching the Breakthrough Listen project, which will scan the nearest million stars for signs of life, last year he suggested that any civilisation reading our messages could be billions of years ahead of humans. “If so they will be vastly more powerful and may not see us as any more valuable than we see bacteria,” he said. Finally, Hawking returns to Earth to Santa Barbara where he talks nostalgically of his early career at Cal Tech and times spent on the sunny California coast with his young family. "'Are we alone?' is a question that unites us as a planet," Yuri Milner, Russian billionaire investor and founder of the Breakthrough Initiatives program, said in a statement. Working together, the two organizations will use telescopes in the United States, Australia and China to hunt for signals from alien civilizations. Can it be true we have been receiving messages all along? If we are, our hardware is apparently incompatible with theirs. So much for hands across the galaxy... (er, if they have hands). There've been significant criticisms of that work since it was published. It is interesting that the stars concerned are all sunlike stars which are consdered good candidates for habitable planets. It is also interesting that the modulations (the supposed signals) seem to resemble each other, even in stars many, many light years apart. A shared protocol for communication is one of the basic premises of the idea of the Interstellar Internet; civilisations stay at home instead of colonising the universe, and gradually contact each other to exchange data and recipes for technology and other news. If an interstellar internet becomes established in a region over many millions of years, the modulations used to carry this data would look similar from every contributing member, although presumably the content would be different in each case. I'm a little dubious that no red dwarf stars are involved, though; this seems to conform to our own preconceptions of habitable stars, rather than reflecting a wider set of possibilities. Red dwarf stars would be attractive prospects for civilisations that wanted to survive into the deep future of the universe. Perhaps they know something we don't. What makes me really dubious is that we can detect these signals at all. If they were laser communications between different stars talking to each other, they would be too tightly focused for us to see - the narrow laser beams would simply pass us by. If, however, these were signals sent by hundreds of communicators simultaneously trying to make contact with us, I'm fairly sure they would be brighter and easier to extract from the noise.